Model of efficiency. 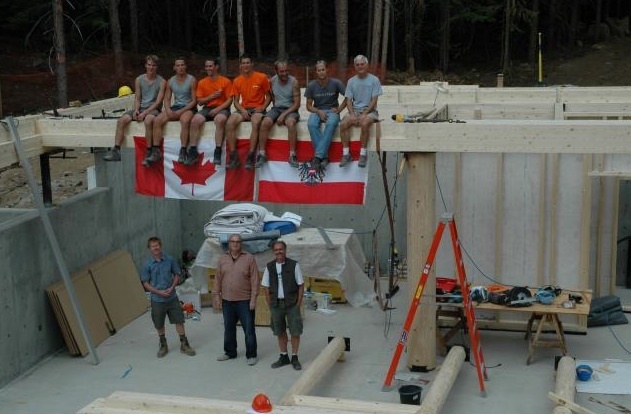 The Austria Passive House in Whistler, British Columbia, ready for service during the 2010 Olympics and beyond. Image Credit: Ira Nicolai / Sea to Sky Consulting Inc. Image Credit: Ira Nicolai / Sea to Sky Consulting Inc. Once materials for the project arrived from Europe, Austria Passive House went up quickly. 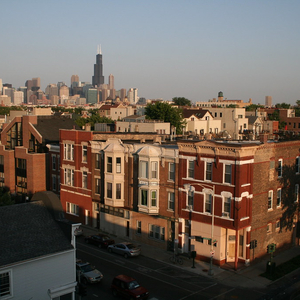 Much of the basic construction, including this first-floor phase, was completed in September. 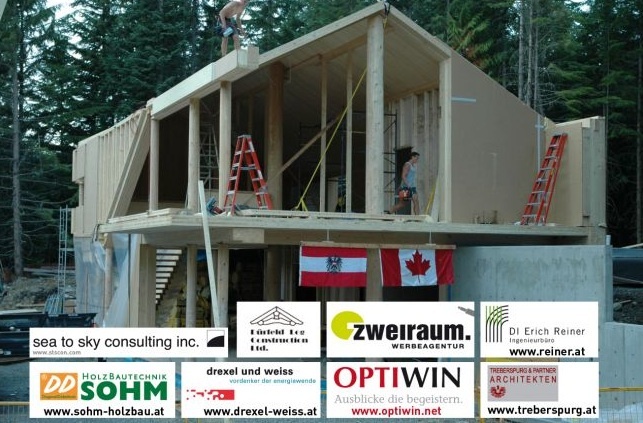 Image Credit: Austrian Passive House Group (images 2, 3, 4, and 5) After a five-day rain delay, crews from Austria-based designer-manufacturer Sohm Holzbautechnik and Whistler-based Durfeld Log Construction continued work on the exterior of the Austria Passive House. The Austria Passive House awaiting installation of final segments of Eternit fiber cement panels. 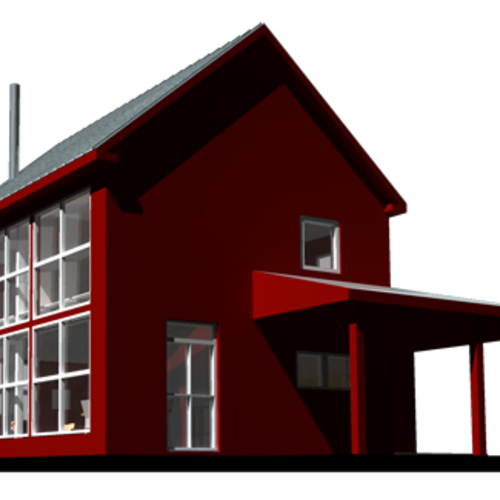 A rendering of the 2010 Net Zero House, which is being built by Whistler-based RDC Fine Homes and will be open to visitors during the games. Click here to see a video showing construction details of the Whistler Passivhaus. For most people, the 2010 Winter Olympic and Paralympic Games, scheduled for February in Vancouver, British Columbia, will be pure sports spectacle and drama – an occasion to savor high-pressure performances by many of the world’s top athletes. But the curiousity of Olympics attendees who also have a taste for green building might stray every now and then to the performance of buildings in the Olympic Village. Winter weather in the Vancouver area, including the resort town of Whistler, where many facilities for the games are located, will test the energy efficiency of all Olympic housing and offices. 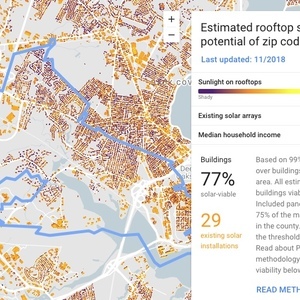 A push toward energy efficiency and sustainability for many of these structures, though, suggests they will fare pretty well in cold conditions. The 2010 Olympics website notes, for example, that the mix of apartments, townhomes, and hostel accommodations in Whistler Olympic Village was designed to qualify for a Gold rating under the LEED for Neighborhood Development certification system. International Olympic Committee organizers estimate that the Olympic Winter Games and the Paralympic Winter Games populations in Whistler alone will reach 2,850 and 1,200, respectively. Add the huge number of spectators drawn to the games and you have a significant marketing opportunity – even for construction that isn’t part of the Olympic Village. 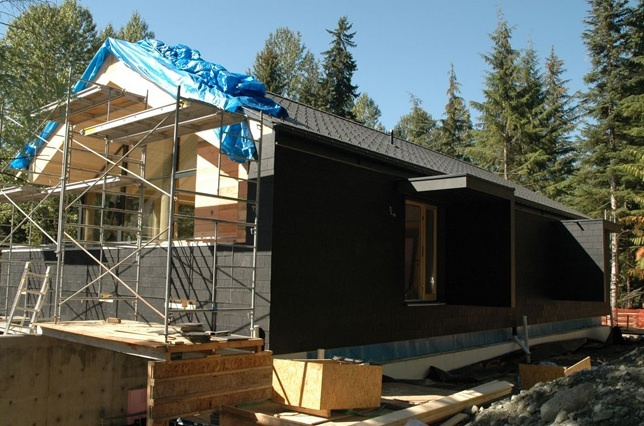 That notion wasn’t lost on local builder RDC Fine Homes, which will be showing off one of the area’s first net-zero-energy homes, Whistler Vision 2010 Net Zero House, during the games. 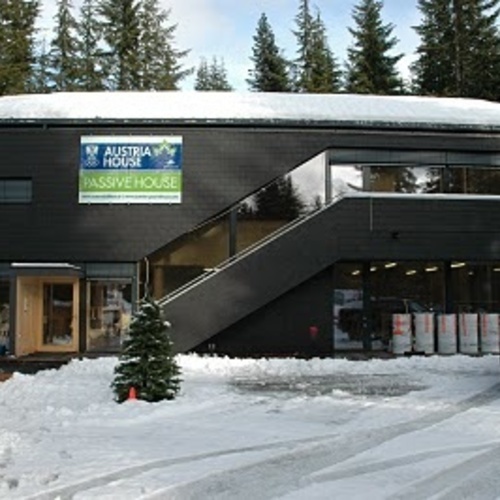 In terms of passive energy efficiency, however, one building serving games participants is likely to outscore the others: the Austria Passive House in Whistler. Designed and constructed to Passivhaus standards by a collaborative group that includes the Austrian Federal Economic Chamber, builders from Austria and Canada, and many suppliers, the two-story structure will serve as the Austrian Olympic Committee’s communications center during the Olympics. 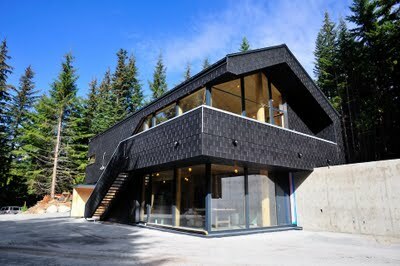 After the games, operation of Austria Passive House will transfer to the Resort Municipality of Whistler for use by local cross-country skiing, snowshoe, and off-road cycling groups. As noted in a recent story in Pique, a newsmagazine serving Whistler, the building’s post-Olympics future was secured by a $150,000 grant to the project by Whistler Blackcomb Foundation, a fund-raising arm of resort operator Blackcomb Skiing Enterprises. 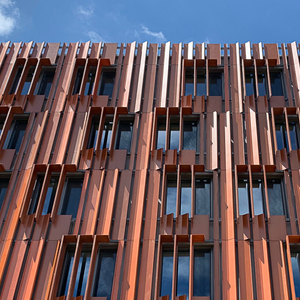 One collaborator on the project, Matteo Durfeld, of Whistler-based Durfeld Log Construction, told the magazine that typical construction costs for a Passivhaus in Austria would range from $235 to $285 per sq. ft. Costs for the house in Whistler were higher because its components were shipped from Austria. 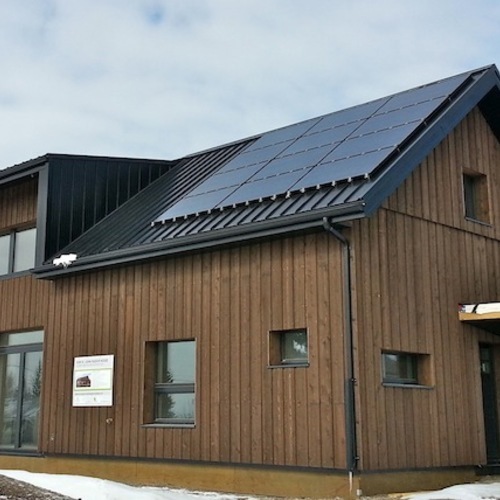 But Durfeld pointed out that expenses likely would drop fairly rapidly in Canada if the Passivhaus standard was adopted more widely there, since the country has the materials resources to make components economically. In addition to Durfeld’s firm, which assembled the building, the project’s sponsors included Sohm Holzbautechnik, which supplied the design and manufactured wood products; Germany-based chemical company BASF, which made the foam used in the Isoquick interlocking panels under the slab; Mendiger Basalt, which supplied the volcanic natural-stone floor tiles; Optiwin, which supplied the triple-glazed windows; Marley-Eternit, which supplied the building’s black exterior fiber-cement roofing and paneling tiles; and Drexel-Weiss, which supplied the heat recovery ventilators. 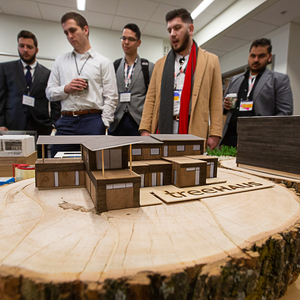 Very interesting that those building components were shipped from Austria in order to showcase their housing technologies. More interestingly, I found a Canadian government energy efficient housing program that showcase their technology around the world - it is called Super E Program. 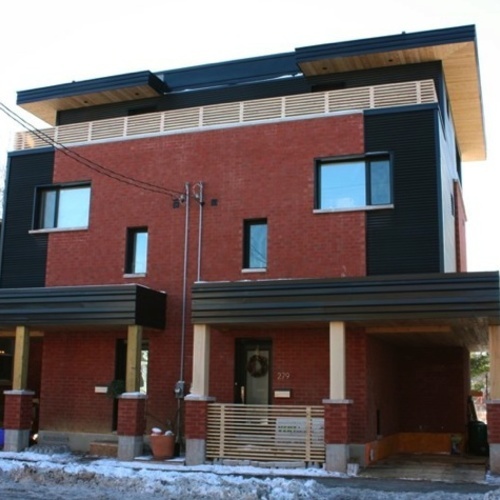 Chris Straka, principal at Vert Design in Ottawa, Canada, apparently didn’t intend to meet the Passivhaus standard when he built his three-story duplex in the city’s Edinburgh neighborhood.